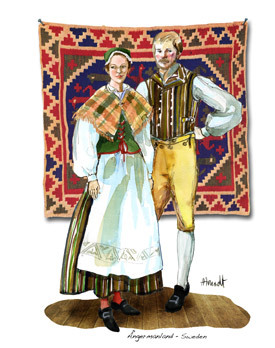 Historically in Sweden, a person’s clothes defined his occupation and status – each trade had an identifying costume. 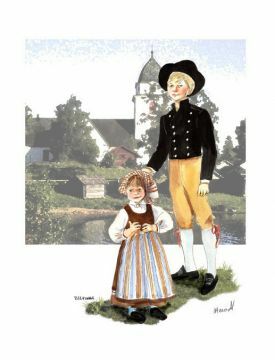 For instance, a certain kind of striped shirt would identify the wearer as a carpenter while a fisherman could be identified by the cut of his trousers. 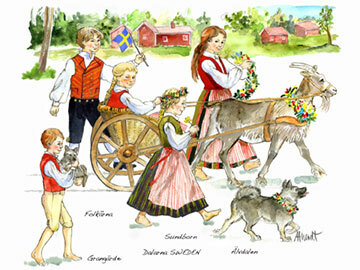 In modern Sweden, on festive occasions people wear costumes that identify their place of birth. 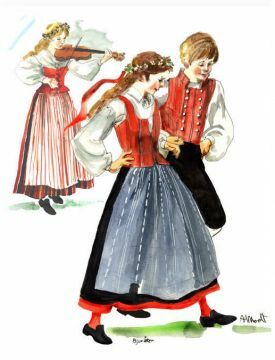 Most of these costumes were defined sometime during the 20th century. 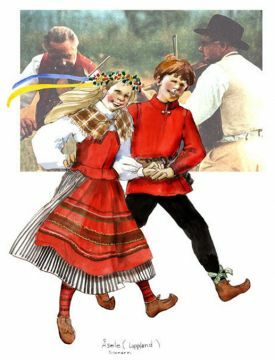 Most often by members of a particular parish seeking to preserve their area’s heritage. 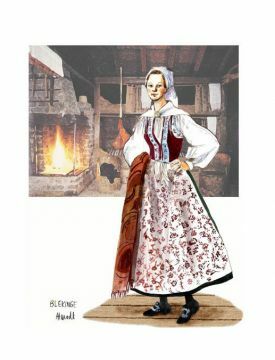 In some cases, it took the people of an area over 30 years to come to an agreement about the design of their costume. 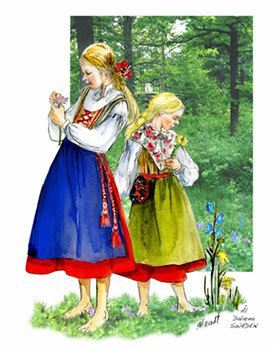 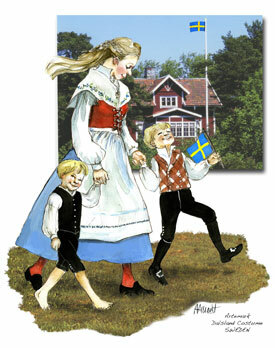 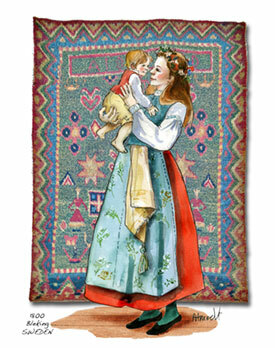 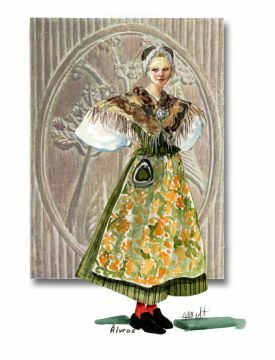 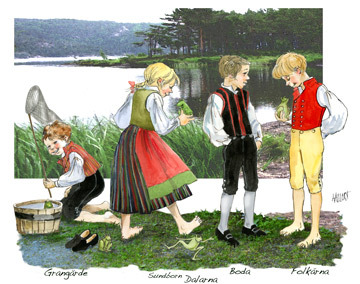 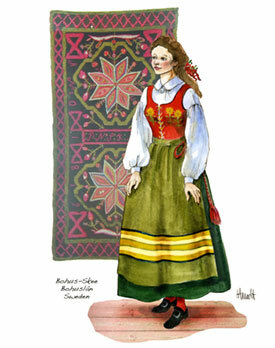 A Swedish costume is defined by its cut, fabric, colors, headdress, adornment and shoes.